Eclisse pocket sliding door systems are a stunning alternative to traditional hinged doors being used by architects and designers to create more usable space and a modern light ambience without compromise to reliability and strength. Adaptable for use in both new buildings and refurbishments, the Eclisse system is a practical and beautiful alternative to traditional hinged doors. The strongest of its type, the Eclisse steel framework becomes part of the stud wall, thus allowing the doors to slide effortlessly into the wall offering the maximum opening without encroaching upon room space. Eclisse UK offers full technical advice and support both pre-sales and after-sales and are happy to discuss your individual requirements. All Eclisse products are guaranteed for a full 12 years. 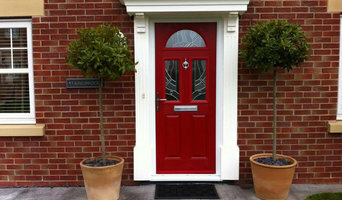 Old English Doors is a family-run joinery located in Nottingham, Nottinghamshire. We design and manufacture wooden doors to order. We meticulously research all of our door designs to ensure they suit the charm and character of your home. We specialise in recreating period doors (Victorian, Edwardian, Georgian) though our traditional styles (1920s, 1930s, Art Nouveau, Greek, Colonial etc) are all popular choices too. For contemporary style buildings, we offer a number of modern styles that are sleek, simple and streamlined. If you're looking for something specific, communicate your ideas to our team and we’ll design a bespoke door to your exact requirements. You can customise everything from the paint colour to the stained glass motif; from the door furniture to the style of the wooden panels. We don’t just work with homeowners, we often work with conservation officials, builders, architects and so on. We design and manufacture doors for all kinds of buildings. We’ve created wooden doors for a range of properties: for office buildings, banks, stately homes and so on. All of our doors are finished with beautiful, high quality door accessories that are designed to stand the test of time. Our doors are created with Accoya’s high performance timber that is renowned for its for exceedingly good durability (virtually rot proof, lasts for 50 years), it’s dimensional stability (meaning reduced maintenance costs and doors that open effortlessly year round) and superior paint retention (paint lasts 2x as long). We have a high amount of paint colours for you to choose from, including many popular Farrow & Ball shades. Our doors are highly secure, giving you peace of mind. They’re fitted with Avocet’s ABS “Diamond Standard” snap proof cylinder locks, which are used by the Police and councils in areas suffering from high repeat break-ins due to traditional cylinder locks. 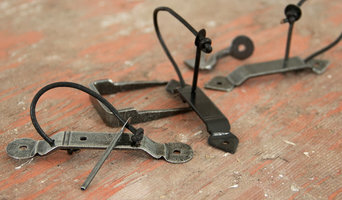 (Leeds City Council installed the locks in 10,000 homes in East Leeds and saw a dramatic reduction in burglary rates.) To compliment our beautiful doors, we also make wooden windows, porches and gates too. Yale Door, the UK's #1 supplier of composite doors, is here to ensure that you have the safest front door in the neighbourhood from a name you can trust. Here at Green Tree Doors we pride ourselves on providing high quality internal doors and frames, at fantastically low prices whilst maintaining an exceptional level of service. All our items include FREE DELIVERY within 7 working days. For those of you who require a faster delivery service, we can offer express delivery from as little as £6.00. Bespoke doors supplied and fitted by the experts at Bespoke Door Installations. Design your very own, completely custom door using the online "Design A Door" tool, and then have the Bespoke Door Installations team deliver and install the door at your home. At Attenborough Doors, we pride ourselves in our fast and efficient service which covers your requirements from start to finish. We design, manufacture, and install a wide range of doors, manual and automatic, for any industrial commercial and domestic environment. Cambium Joinery manufactures beautiful timber windows and doors. Cambium Joinery is proud to say they're now one of the largest joinery manufacturers in Derby, Nottingham and surrounding areas. We offer competitive rates with no call out charge, whether you have lost your keys, you are locked out, have bought a new home or are just in need for some advice. Be sure you are in good hands with DG Locksmiths! If looking at all the different styles, materials, types and sizes of doors makes you feel like you’re lost in a labyrinth of locked doors, then don’t despair; Nottingham, Nottinghamshire door manufacturers and door suppliers are available on Houzz to help design, build and install all sorts of doors. You can find photos of their previous work, reviews, recommendations and ratings from clients, and contact information so you can speak directly to any Nottingham door makers you find that you think can help with your project. You might find that your door suppliers or manufacturers can help with your window frames, garage doors or other contractor work, or they may be able to put you in touch with other professionals they work with regularly. Here are some related professionals and vendors to complement the work of doors: Cladding & Exterior Contractors, Garage Doors, Home Builders, Design & Build, Artists & Artisans. For external doors, it’s usually advisable to go for something durable and insulated. Composite door manufacturers in Nottingham, Nottinghamshire will make doors from a number of materials, usually wood inside and a more protective outer layer, so they are versatile and well suited to being used as back or front doors. You can choose from stable doors, panel doors, half-glazed doors or doors with intricate stained glass panels, in all sorts of colours and stains, and, if well-fitted, your composite door will still stand up to any weather. It’s always advisable to talk to your local Nottingham, Nottinghamshire door suppliers about the different materials, styles and types of doors on offer so they can tell you in more detail the advantages and suitability of all the doors you’re looking at. Door manufacturers can help with more than just your front door and internal doors - if you have a garden, there are a number of options for accessing it. Large glass doors can be really dramatic and bi-fold doors are a popular choice at the moment because they can completely disappear and open up a room to the outside. If you don’t quite have the budget to install bifold doors, patio doors or french doors can still bring in lots of light from your garden into your home. Talk to Nottingham, Nottinghamshire door makers about what they think could work for your home renovation project. 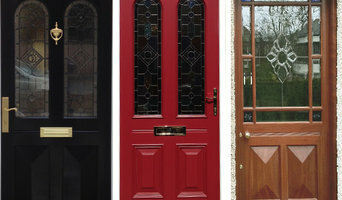 Why should I hire Nottingham, Nottinghamshire door manufacturers or specialists? Find door suppliers and makers on Houzz. 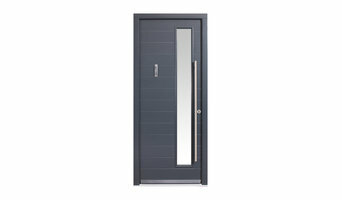 Look in the Professionals section of our website and search for Nottingham, Nottinghamshire door manufacturers and suppliers. Read reviews, look at project photos and see how a door professional can help your Nottingham, Nottinghamshire home improvement project.